Mark A. Murray is a Senior Advisor to Auxo. Mr. Murray currently serves as Vice Chairman of Meijer, Inc., a regional supercenter retail chain. He has been in executive leadership at Meijer since 2006, following his service as president of Grand Valley State University. He previously served as treasurer for the state of Michigan from 1999 to 2001 and vice president of finance and administration for Michigan State University from 1998 to 1999. Mr. Murray received his Bachelor of Science in economics and his Master of Science in labor and industrial relations from Michigan State University. 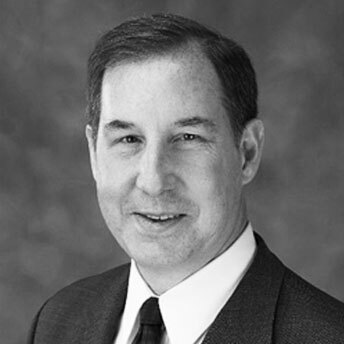 In addition to his involvement with Auxo, he is a director for DTE Energy and serves on its Nuclear Review Committee and its Public Relations Committee, Universal Forest Products where he is chairman of the Nominating and Corporate Governance Committee, and serves on the Audit Committee and a Trustee of Fidelity Investments. Mr. Murray is also a director or trustee of many community and professional organizations including Spectrum Health System and Business Leaders for Michigan.